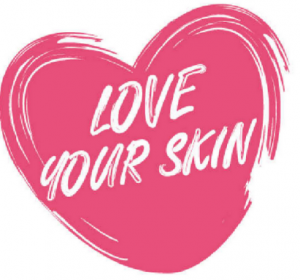 Here are 10 tips on getting your skin into good condition. Sleep: In my opinion getting enough sleep is one of the most important things for healthy looking, radiant skin. Our whole body regenerates and repairs itself as we sleep. I really believe sleep is a healer for everything. If you are not getting enough sleep or find it hard to sleep, there are plenty apps you can get on your phone to try and help you or you can try to change some habits that you do before bed, no tv, caffeine, phone. Diet: What we put inside our body eventually shows on the surface of our skin. We are what we eat. A diet high in vegetables, fresh fruit, good fats and protein can repair itself better than a diet high on sugar and carbs. Our cells depend on the food we feed it, the healthier our diet, the healthier stronger our cells are. Making a small few changes to our diet will impact how the skin looks 100%. Especially with problem skins such as acne, eczema, psoriasis and rosacea. Our skin is our second stomach, don't forget that! For people with ongoing skin concerns, an allergy test is best to do to see if there is a root cause for this concern. Skincare Routine: Using the correct skincare products for your skin type is very important. Every skin is different and therefore needs different ingredients to help with certain skin concerns. 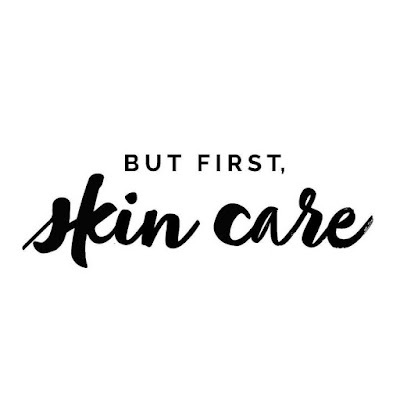 When buying skincare products, buy from a reliable, educated source. Have your skin analysed, checked and get a personalized perscription for your skin type. Thats when you will see real changes with your skin. When it has exactly what it needs to help it act in the best way possible. You can always ask for samples before buying. Lifestyle: How you live your life on a day to day basis of course will affect your body and skin too. Flying alot takes a toll on the body and drys up the skin. Working very late and long hours of course will age the skin over time, if you are not taking care of it during this time. Stress is probably one the biggest skin interupter. Stress releases the hormone Coritsol, and this can play havoc with the skin, producing too much sebum causing breakouts and speeding up the ageing process. Look at your lifestyle and look out for your body and skin. Mood: How you feel shows on your face. The happier you are the more your skin will glow from the inside out (thats what we all want!) But life has its difficulties and its not always possible for us. Do what makes you happy, find your niche and work on it everyday for yourself. Climate: Where you live will play a role on how your skin looks. The warmer the country the more UVA and UVB present and this is the ager to the skin. SPF has to be worn daily, no matter what the weather in your country is. Even when it is raining UV rays are present. The colder the country the more dry the skin will get, so increasing your water intake and reducing your shower intake can help how the skin feels and looks. Facial Treatments: Finding yourself a skincare girl or guy will be an investment for your skin for life. I have seen huge changes in my clients skin over the years from having regular facials. Advanced skincare treatments like microneedling, peels, deep tissue masssage and extractions can hugely change the skin. When working in the deeper layers of the skin you are stimulating the active living layer and this is what can change the structure of the skin. We only get one skin so its important you take care of it. And when you are working hard you deserve some 'you' time every now then. If you don't look after yourself, who will. Exercise: regular exercise increases the circualtion in our body, bringing healthy nutrients and oxygen to the cells. This of course is very important in the skin too. The redder the face the better! Getting the blood moving around the body is very good for all skin types and concerns. Massage: You can do a facial massage on yourself at home, draining to the lymph nodes, releasing toxins in the face and stimulating the muscles. As we get older, everything slows down. The more we activate the muscles the tighter and firmer our skin will become. Always draining to the ear in upwards movements. Change your pillow case: Bacteria can build up on cotton pillow cases quite quickly so its best to change them 1-2 times in the week or daily if you are a acne skin. Wrinkles can develop more quickly if you sleep on your side on a cotton pillow case. Silk pillows are a better option as they protect the skin and hair while sleeping. 1.Never Sleep in your Makeup 2.Cleanse & Moisturise everyday twice a day 3. Exfoliate x2 week, Apply a mask 1-2 week 4. Drink plenty of water 5. Eat fresh fruit & Veg 6.Avoid Using Makeup Wipes 7. Beauty sleep is a thing- our skin regenerates as we sleep. 8.Never apply body products to the face 9.Always wear SPF no matter what the weather. 10. Clean makeup brushes every few days and change pillow cases regularly.